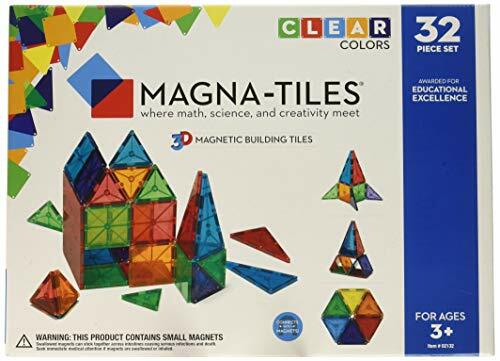 Magna-Tiles 3-D Magnetic Building Tiles are where math, science, and creativity meet. 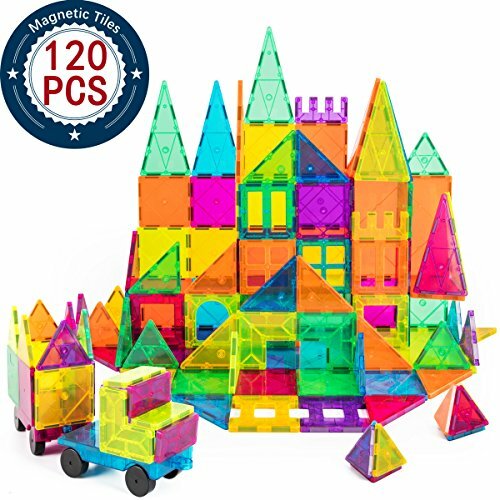 Each brightly colored, translucent shape is lined with magnets. The secret is the unique ability to attract; they always connect! 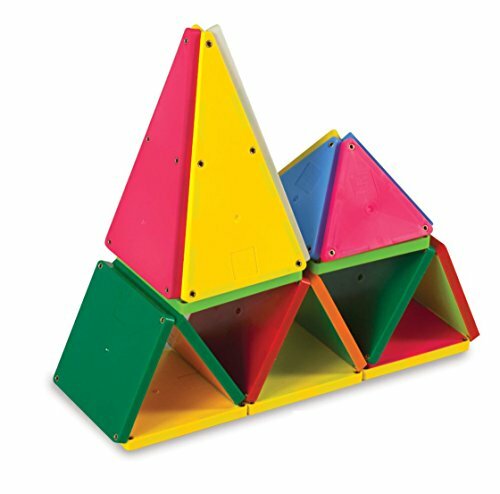 Children develop fine motor skills and become familiar with shapes as they stack, make flat patterns, and build 3-D shapes and structures. 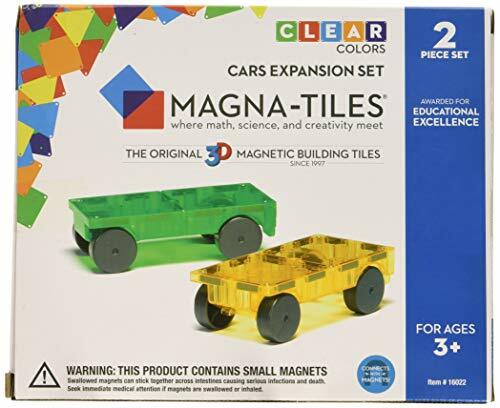 The 48-piece deluxe set includes a variety of shapes and colors. Each shape measures approximately 3 inches. Clear Colors. Ages 3 and up. 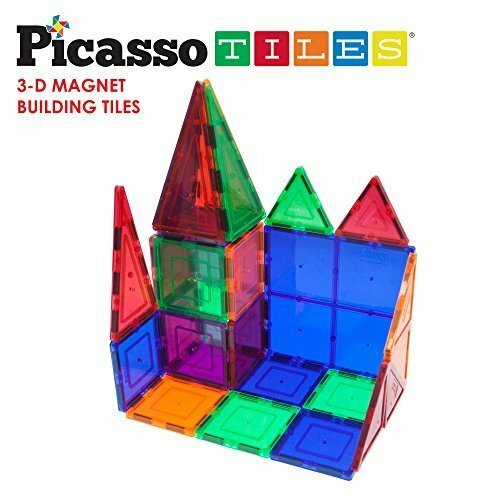 Magna-Tiles Solid Colors 100 Piece Set includes: 50 small Squares, 4 large Squares, 15 Isosceles Triangles, 11 Right Triangles and 20 Equilateral Triangles These tactile, colorful opaque Magna-Tiles are sized just right and easy to use, whether creating designs on a flat surface or building in 3-D. basic shapes are learned through play. 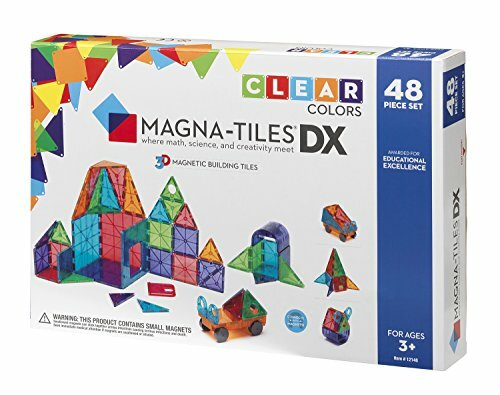 Magna-Tiles develops patterning, shape recognition, building and motor skills. 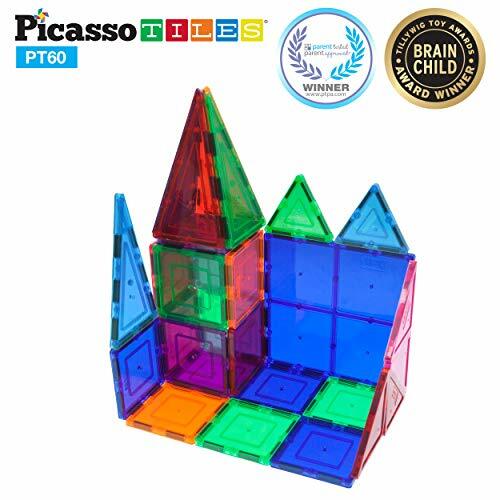 use them for guided activities or hours of open-ended fun and exploration. 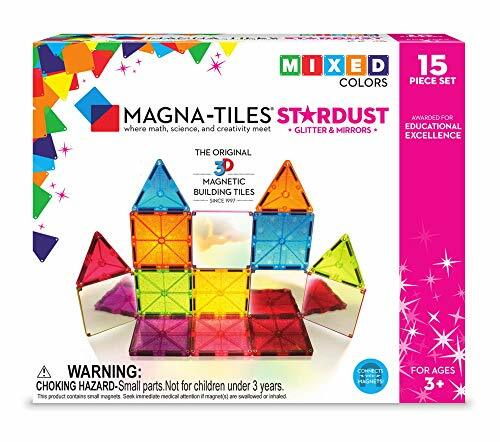 They will work well alone or together with the clear colored Magna-Tiles to make windows, skylights, etc. perfect for classrooms and multi-child play. 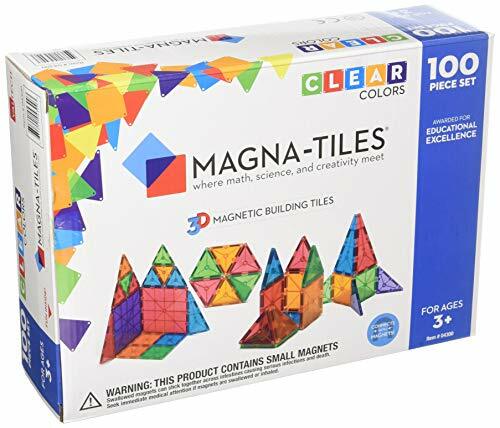 Shopping Results for "Magna Tiles"